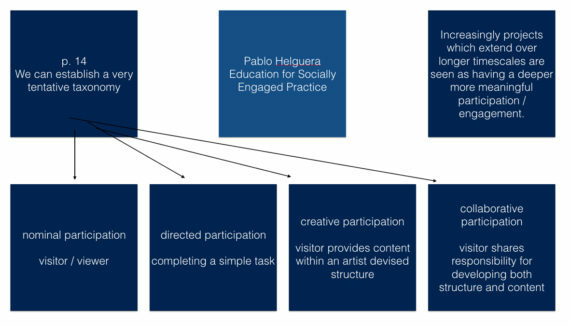 In his book Education for Socially Engaged Practice, Pablo Helguera explores what it means to work in a socially engaged manner; where the variables lie, the questions, experiments and issues. Early in the book he “establishes a tentative taxonomy”(1) to work out what kind of participation is being offered. This simple set of descriptions (shortened and highlighted in the above image) does much to promote reflective thinking about what a project aiming or claiming to be socially engaged is actually offering. Just exactly what kind of participation is sought, how will participants participate, to what extent and to what desired outcome? Where does capacity of decision making come into the collaborative equation for both artist / arts organisation and participant? Is it even collaborative? 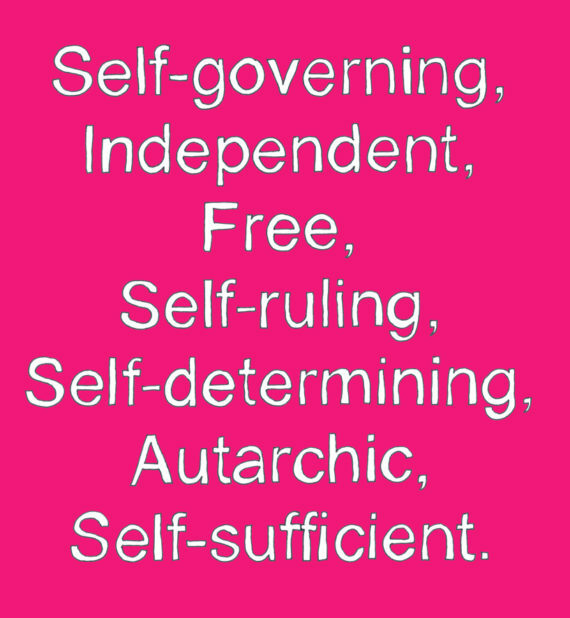 What exactly is the ambition and how is success to be measured? I was fortunate to go to the University of East Anglia in Norwich last week where the New Perspectives in Participatory Arts (part of the AHRC Connecting Communities) was taking place. Wide ranging in its speakers, the programme brought together academics and practitioners in a range of thought provoking presentations which explored methods and policy, telling stories, community music and media, and care and the community to name but a few. What can I do to help you feel comfortable? Are people excluded or do they exclude themselves? There were a number of papers which focused on measurement and evaluation. Some presenters spoke of how some existing methods of measurement were inappropriate for some participatory groups. The idea of relying on anecdotal evidence was seen by some as problematic, for others it constituted practiced based research; there were also suggestions for new scales of measurement. It raises the question can we have projects that are creative, inclusive and engaging if we can’t measure their impact? Is anything beyond measurement? Probably not, but no-one wants evaluation to be a larger part of the budget than the actual event. Later in his book Helguera talks of documentation in relationship to authorship. “Authorship hinges on the existence of a recognisable product. It is hard to claim to be an author of any kind if there is no tangible product to claim as one’s own. Yet that is precisely what lies at the centre of Socially Engaged Practice: the idea that an intangible social interaction between a group of people can constitute an artwork” (2). The importance of documentation and authorship can be extended to include measurement and evaluation. If it wasn’t documented did it happen, if it wasn’t evaluated did it have impact? Both have consequences for the artist and for participatory arts as a whole.